When you tell or watch a story whether it’s a short or feature film, what is the basic foundation you expect? If you don’t know, there’s an introduction, middle, and an ending. Well, that’s exactly what we do when you choose to have your story told. We have one thing in mind when we go through this process. That thing is giving you an “experience” to remember for the rest of your life. It’s about telling a story using what we find is compelling in your day from the Priest’s advice, best man and maid of honor toast, to how your day was formed. With this edit option, we give our couples the opportunity to have a long-form edit. This style of editing is catered to couples who does not care much about the creativity or story, but just want their day covered. Of course, it’s hard for us to resist just covering, so we do try our best to create compelling shots that would be appreciated. Every couple is different and although we live in 2013, there are many couples that just want footage covered with basic editing of their day from the time you are getting ready, to the ceremony, to the cocktail hour, to the reception. So you are ready to take your love to the next level and walk down the aisle, and you want your wedding day to be perfect like as if it were a scene in a movie (or as we at Live Picture Studios like to say, “cinematic”)? All brides dream of the day they will get married and envision a fairy tale wedding ceremony. Unfortunately, many brides (and couples) focus on the least important stuff first (favors, invites, cake, etc.) putting the more important stuff (videographers, Photographers, entertainment, Etc.) last. Don’t get me wrong, all that stuff is important, however, some of these need to be a priority much earlier than others before your big day. Those who make this mistake sometimes result with weddings that have fancy stuff but are held in moderate to mediocre event halls with amateur photographers and videographers that were available “last minute”. Ironically, all that last minute stuff ends up costing about the same as a perfect wedding that was properly planned. 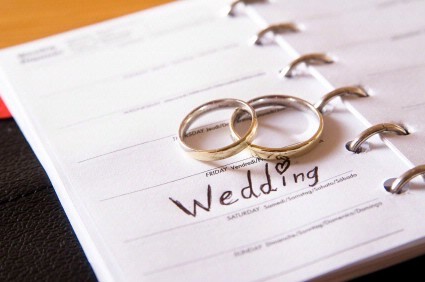 So to help avoid this from happening to you, we have compiled a list in order of importance to create the perfect wedding in nine months.